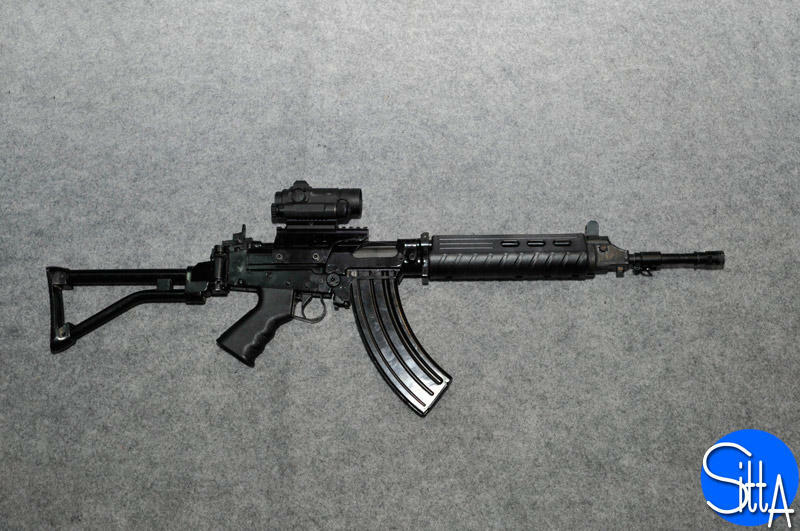 The Indian government manufacturer Ordnance Factories Board (OFB) displayed a FAL based rifle chambered in 7.62x39mm. 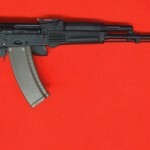 The TRICHY Assault Rifle (TAR) is designed to utilize the Indian A7 cartridge, a locally produced 7.62x39mm. The internal operation retains the piston system and is the tilting bolt design found in the FAL. I am unaware if it has the same gas adjustment capabilities. 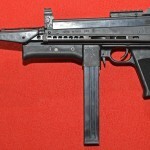 The weapon was designed to be modular and reduced in weight. 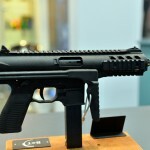 Some key features include a perforated flash hider, FN style folding stock, an optic mount, polymer handguards, and polymer pistol grip. 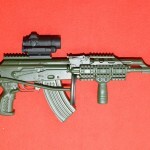 The TRICHY rifle can also be equipped with a grenade launcher. The rifle is 37″ long (940 mm) and 27.16″ with the stock folded (690 mm), with a weight of 7.9 lbs (3.6 kg). 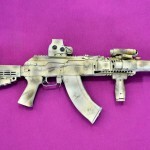 Rate of fire is 800 rounds per minute from a 30 round magazine – this is a faster rate of fire than the AKM (600 r/m) or the FAL (600-700 r/m). I suspected this increase of rate of fire would be problematic for the shooter, and I quickly found an article on it in the Times Of India.